Hi all! I was able to score one of my top 3 most wanted Nerd Lacquer polishes in the last restock earlier this month. I was ecstatic! 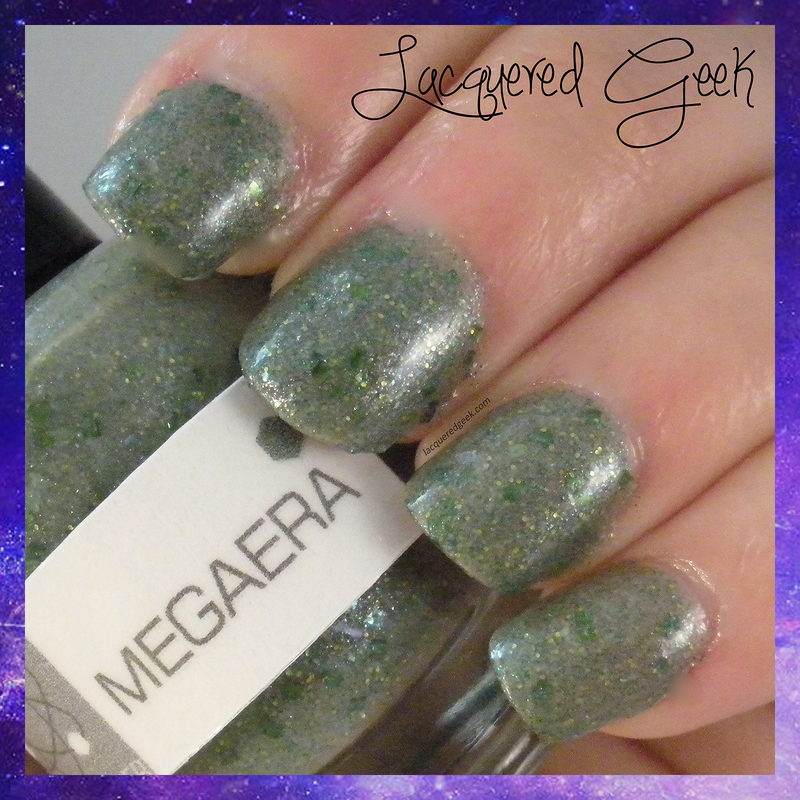 Megaera is described as a "murky eucalyptus green with moss glitter, translucent green flakes, plus sea green and silver-white shimmer." It is just perfect - so shimmery and gorgeous. I just needed 2 coats for complete opacity, and the polishes dries fairly quickly to a semi-matte finish. There have been polishes that I've wanted so badly for oh so long, only for them not to live up to my dreams once I finally got 'em. 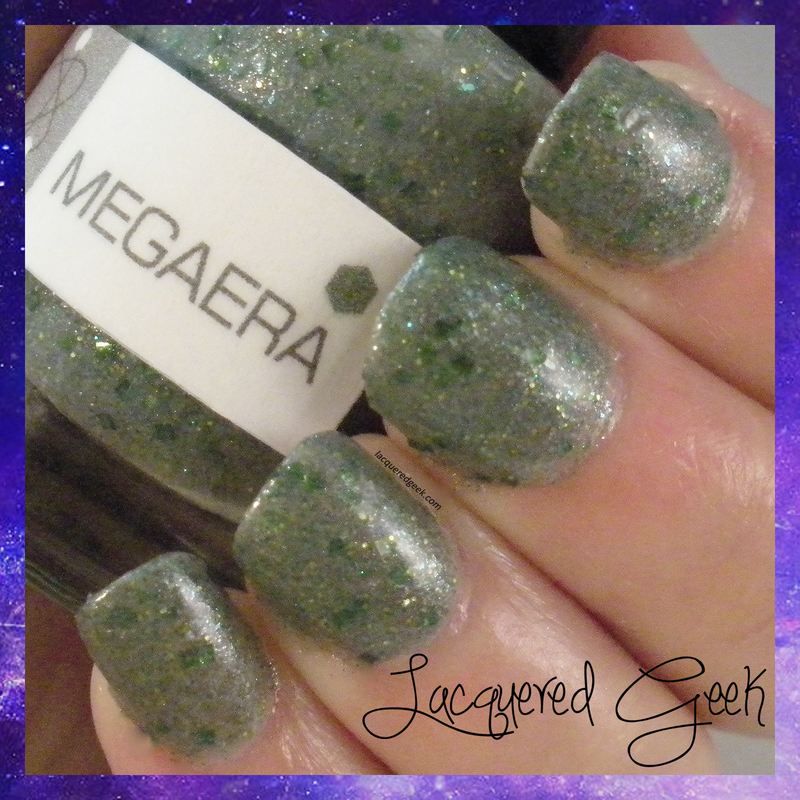 It is not the case with Megaera; she's simply perfect! What's your top lemming polish? Love this polish. Apparently market means pretty!